CARRYING ALBERT HOME is one of the best books I’ve read this year. Heck, it’s one of the best books I’ve read in a while. It reads like a tall tale, one that’s been told so often that it’s impossible to remember which sections are embellished, but it doesn’t matter because it all makes for a damn good read. There are so many things I love about this book that I don’t quite know where to start. The writing is beautiful, with prose that has its own heartbeat, guiding you down the page—the kind of writing that allows the rest of the world to quietly melt away while you lose yourself in another world. I had to slow myself down, in order to prolong the experience because I honestly didn’t want it to end (and not just because I thought I’d cry which, mild spoiler alert, I did). 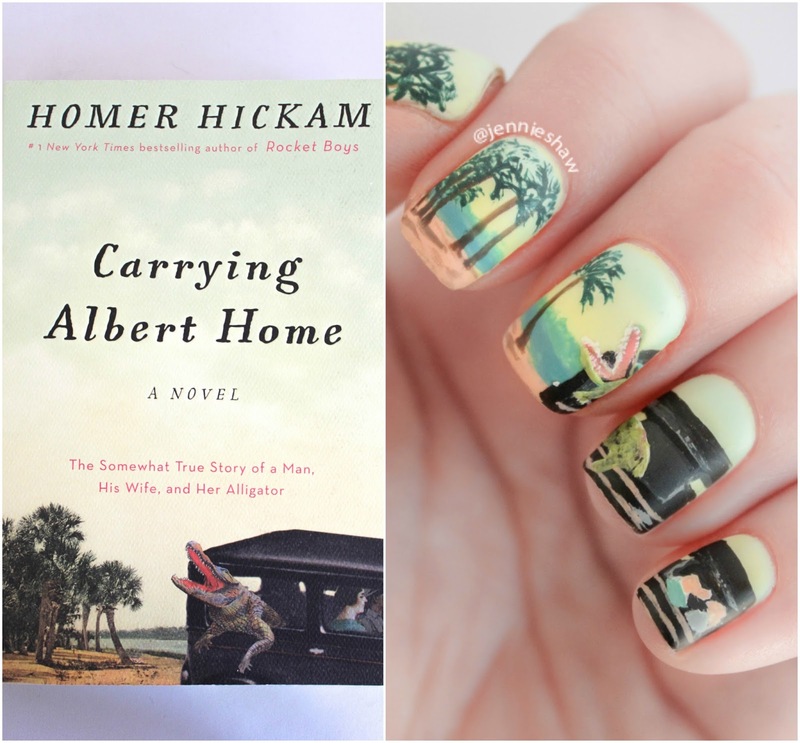 Along with the dynamic and lyrical, yet still accessible writing (how did Homer Hickam do that?!) each character springs to life in their own unique way. Homer (the father) has his feet firmly on the ground while Elsie dreams about what could have been, which is why they work so well together. And then there’s Albert, the alligator. I hadn’t ever thought I would fall in love with a reptile, as I’m more partial to fluffy little muffins, but after Albert’s first request for a belly rub, rolling onto his back with a toothy grin, I found myself wondering if I too, could have an alligator for a pet. When Albert is happy, he makes a yeah, yeah, yeah sound and I could barely handle the surge of love that strained my heart each time those three words appeared on a page. If there were TEAM ALBERT t-shirts, I’d totally get one. Heck, I'd probably get two. Elsie, Homer, Albert, and the random rooster's surprising tale reminded me a bit of Jonas Jonasson’s work, with ordinary people put into extraordinary circumstances, and I won’t ruin any of their adventures by going into detail. Because those delightful adventures, or misadventures as some could be categorized, are what make this book so wonderful. Yes, they teeter on the edge of believability, but this isn’t a memoir, it’s fiction, and the characters are so enchanting, all you need to do is hold on for the ride. 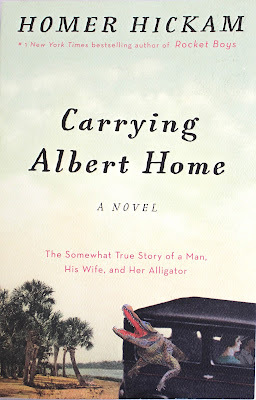 So if you’re looking for a book that makes you feel good—those warm fuzzy feelings that act like a hug for your soul—then you definitely need to read CARRYING ALBERT HOME. Not being a fan of alligators in general, I'm intrigued. 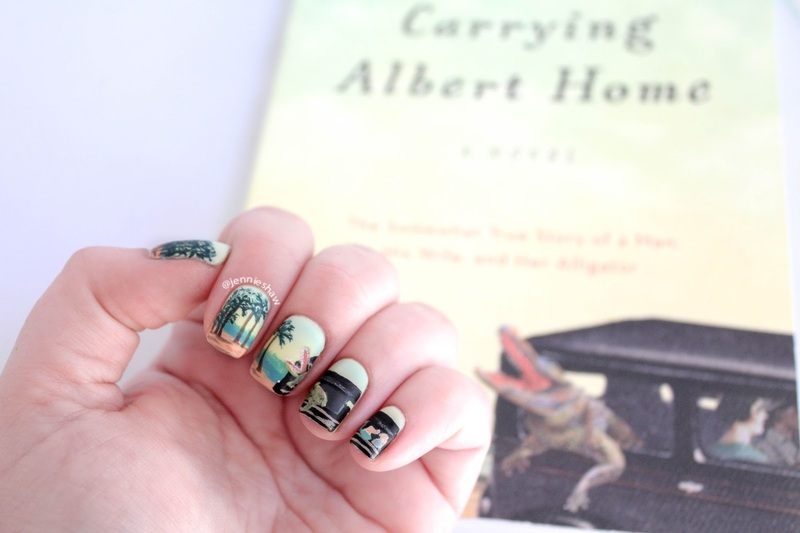 Mostly because I'm a fan of Big Fish, humor, magical realism, and your nails.